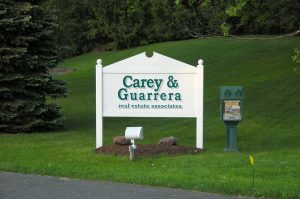 Opened in 1989, Carey & Guarrera is a full service real estate office servicing the Southern Connecticut area. The company is owned by Shelton residents Pat Carey and Jim Guarrera and is located in the historic Benjamin DeForest House at 59 Old Shelton Road in Huntington Center. The DeForest House, built in 1772, was originally located on the corner of Huntington Street and Route 108 but was moved to its present location in 1961. 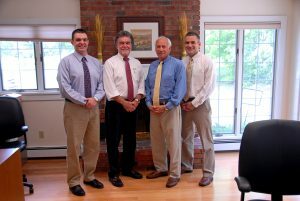 Both Pat and Jim have been in the real estate business for over thirty years, and they have now been joined in the business by their sons, Chris Carey and Steve Guarrera. Pat and Jim are former Shelton school teachers and first met while teaching at Fowler School which is now Shelton City Hall. Pat taught Science and Jim was a Math teacher. They both worked for other real estate companies before deciding to open their own office in the fall of 1988. Carey and Guarrera Real Estate is accredited by and holds an A+ rating from the Better Business Bureau. 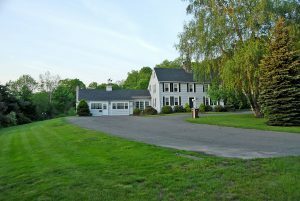 They participate in both the consolidated MLS of Fairfield County and the CT Statewide MLS.